A tablet or smartphone with features of a smartphone with the size of a tablet? Huawei presented on Sunday morning (23) during their conference at MWC 2014, MediaPad tablet X1. 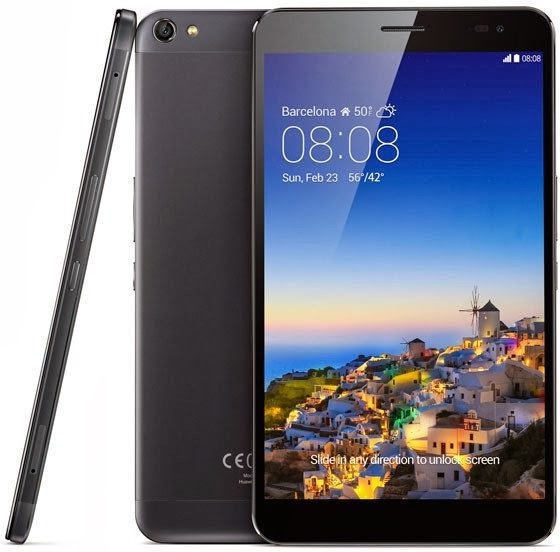 With 7-inch Full HD screen, the device that runs the Android operating system is distinguished by its low weight: only 239 grams, which makes it lighter than the ASUS models Fonepad 7, Kindle Fire and HDX7 Nexus 7. The X1 still has MediaPad 5,000 mAh battery, enough to beat its competitors in this regard also. Other specifications include a 13 megapixel rear camera and front camera of 5 megapixels. The processor is a quad-core Cortex A9 1.6 GHz, and reveals even hardware GPU Mali-450 MP4, 2GB of RAM and 16GB of storage. Compatible SIM card, the device also allows the user to make and receive calls, like on a smartphone. The MediaPad X1 will be available in China, Russia, Western Europe, Middle East, Japan and Latin American countries already in March. The suggested retail price is 399 euros (equivalent to R $ 1,290, excluding taxes).